NEW YORK (AP) — Google Maps is getting disconnected. With an update for Android phones Tuesday, you'll be able to search nearby businesses and get driving directions, including turn-by-turn voice prompts, even if your Internet connection is spotty or non-existent. Google says a version for iPhones will come soon. The feature is ideal if you're trying to leave an underground parking garage or a remote national park. It's also great if you're travelling abroad and want to conserve on expensive data plans. Google is also targeting users in emerging markets, where cellular speeds are slower and prices are higher relative to typical incomes. Mapping apps included with Windows phones have long had this feature, but Windows has a tiny market share compared with iPhones and Android. Offline mapping is also available with some third-party apps, including Nokia's Here. 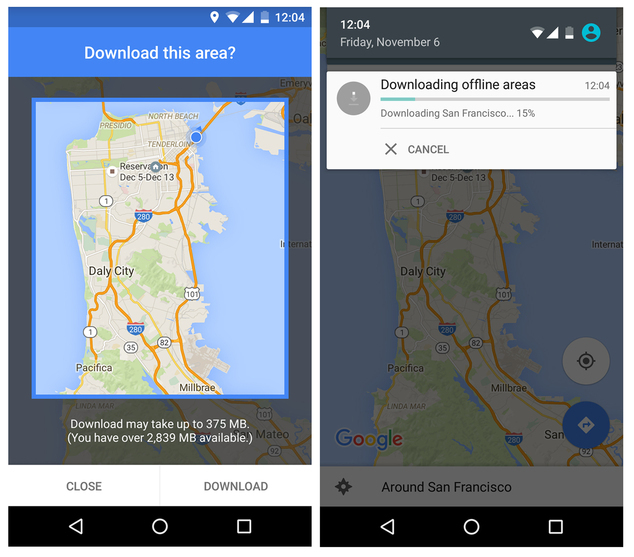 Google Maps has had a limited offline feature. It lets you save a small region ahead of time, but it's the equivalent of displaying a paper map in a phone app. You can't use it for navigation and other tasks we've come to expect in digital maps. With the new version, you'll be able to do most of what you can do now. You'll need to download databases ahead of time, preferably when you have a Wi-Fi connection. To do so, start by searching for a location, such as a city. Then pinch in or out to select what area you want to download. Larger areas will give you more flexibility for navigation, but they also take up more storage. As you change your selection, you're told how large the file is and how much storage on the phone you have left. Once you download an area, Google will periodically refresh the data with new businesses and road changes. By default, that's done only when you're on Wi-Fi. What you won't get with offline mapping is traffic information. Once you're back online, Google Maps might suggest a detour if there's unusual backup ahead. You also won't get photos and user reviews for businesses. But you do get contact information, hours and an overall user rating. For directions, the feature initially works only with driving. It's not yet available for walking, biking or public transit — so you might still be stuck in subway stations.